Noted Ms. Emie. Thankyou for this po and most specially thankyou sa pagaasikaso po on our big day!!! It was perfect!!! A lifetime of thankyou to your team po!!! Rest assured you will be a part of every milestone that are yet to happen in our lives!!! Wishing everyone in BSSI a bountiful and happy life ahead!!! Thank you for the effort you guys put in in recreating our wedding album. You do not know how much joy this brings to us after 10 long years. It is nothing short of a miracle that you could reproduce our wedding day after all these years. We never thought that we would be able to again see this album. Thank you very much and God bless!!! Sorry for the late reply….paolo and i are so busy already since we are now back to our work….ang hirap.mag adjust….1 month kasi ako nagleave ? ? ? Yes ms bing thank you for everything….the wedding was fun and beautiful as my guests say….maganda, maayos and masaya again, thank you. It was a dream come true. Will send you the best picture of us once machoose na namin….d pa namin na oopen ang pics kc. Will also choose the pics we will send for the album! We miss u Ms. Bing! Planning a wedding from miles away is quite a challenge for us. 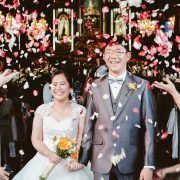 But Bing and Anton had helped us tremendously with the tedious part of choosing the venue and church where we had our wedding to the minute details of choosing the invitations. Everything is supplied by the Banquet team . There may be some problems along the way, but Bing had helped us smooth things out. So from the bottom of our hearts , we thank you Bing and Anton and the entire team of The Banquet. HI BING AND ANTON! Natapos din!! Haha!! And everybody said they had a great time!! Thank you so much for making our wedding successful from start to end!!! 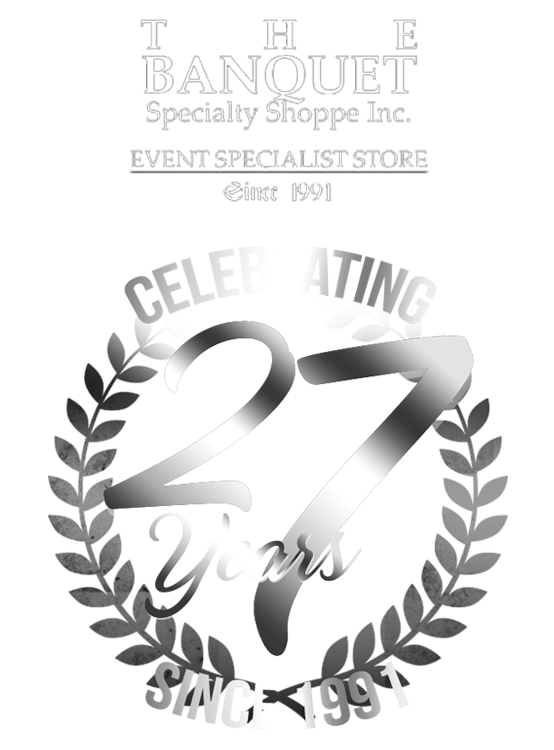 Thank you to The Banquet Specialty Shoppe, INC. Bing and Anton and the rest of the crew! You are really amazing!! Great job!! Thank you Sir Anton and Mam Bing! Madami pong nagandahan sa wedding namin! Everyone enjoyed the whole event! Kelan po namin makukuha ang video? HI Bing, kagagaling lang namin ng St. Clare Parish to give thanks for the almost perfect weather God has granted on our wedding day! Thank you for having faith that it won’t rain hard that day too because I never doubted the reception will be ruined, it was just a shower of blessings!! Thank you for bearing with us from start ‘til the end… our families and friends enjoyed themselves and the food, the venue were great! Lalo na nung pagabi kasi mejo dim lights na… Anton, Bing, Bombet and Cathy- we are pleased with your service… hope to see you again soon!!! Hi Bing!! Thank you again for the wonderful job you did in our wedding! We appreciate everything!! Turning 18 is one milestone that I really treasure and I couldn’t have thought of celebrating it any other way than with thebanquet team’s help. Growing up, I didn’t expect that I would celebrate my 18th with a party, but the debut I had was so much more than I expected which made me thankful that I changed my mind into celebrating it. It was truly a memorable night not only to my friends who said that my debut was unique and super fun, but also to me because I spent the special night with the most important people in my life. Thank you so much to the team and to Tita Bing for making this event possible. Thank you very very much for making our wedding a huge huge success! Considering both Girlie and I were out of the country during the wedding preparation, everything, from the meetings we had, the flowers, invitations, the wedding day coordination to the reception itself was perfect. All the guests also had fun during the reception from the start to finish! There was never a dull moment at all. Working with you guys has been a fun, wonderful and amazing experience. We will really treasure all the experiences we gained from working with you and the entire team. My mom and dad’s extending their gratitude to you guys for doing a great job! All the guests enjoyed daw both the ceremony and the reception! Thanks so much!!! Thank you for everything! We appreciate everything you have done for us. Please say our thanks to your staff. Hi Bing, Sorry for texting you just now. Anyway, want to thank you and Anton and all your staff for making our wedding as perfect as possible. Thanks for the personal touch. The ants, the car from Anton. For making me smile and making me relax. Everything is well appreciated. Dear guys, Thank you for making our day more special, enjoyable and worry free. Your creativity, hard work and ingenuity has made our event more beautiful and meaningful. congrats and thanks for all your help. It was such an experience working with you. 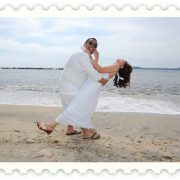 Your creative concepts and your your warm staff made our wedding truly special and memorable. More power to you! Congratulations to a job well done, the wedding was very well organized. Please extend our deepest thank you to Mr. Bombet and all of BSSI staff. Hi Bing, All of my guests said they had a great time during the wedding. I owe it to you. Thanks so much! Guys, great job! It was a great one last night. Be fulfilled with the knowledge that you have a very happy client. Thanks! We would like to thank you for making or dream wedding come true. Thanks for all the help you have given us. We would not forget it for the rest of our lives. A lot of guests were amazed in our MTV Presentation. It’s really nice working with you. Regards to all your staff. The whole family is wishing you all for more blessings and good health. Many would think that after the wedding, relationships with wedding coordinators are over. But for us, it has just started. The times we have spent together during the wedding will always be treasured but the friendship we have shared will linger for years to come. Again thanks to you all for a job well done! It’s a one-stop-shop value for money. Its worth every centavo you spent. Its a shop where all your wedding dreams come true. True service and very professional, accommodating staff and a lot more. Couples will regret if they dont get you as their coordinator. Actually, I still have a lot more to say kaya lang baka maging nobela na. Thank you so much Bing. You have made our silver wedding the best! We are so happy to know that we got the best coordinator in town. You have made our wedding memorable not only for us but to all guests as well. More power! Our sincere thanks for making our wedding day come true. Now and forever you will be part of our lives. You just don’t know how happy you made us truly. Our sincere thanks. We will remember you always. Jay and I would really like to thank you at the Banquet Specialty Shoppe for organizing our very nice wedding. Without you our wedding would not have been beautiful and meaningful. Hay natapos din! Thanks a lot for all the help. You’ve made my life a lot easier. I’m glad everthing turned out well. Flowers were beautiful! Thanks a lot for all the help. Our wedding was a special event in our life which we’ll always look back with happiness and enjoyment. It wouldn’t have been more special if not for you. We look forward working with you guys on our 25th and 50th wedding anniversary. Thank you very much. Anthony and I would like to thank you for being a part of the most important day of our lives. Words are not enough to express the overwhelming feelings of joy you have given us. Thank you so much! Would like to say thank you to all your staff for Sundays very organized Wedding. Bombet super efficient and helpful! Everybody was impressed with how you handled the event. Thank you very much! Thank you so much for all the kindness and help in sharing our special day with us. With our Love. Thank you very much for making our wedding day memorable — every little detail add up and making it perfect. Especially our MTV. 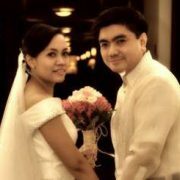 Anniversary na namin! Grabe! Parang kelan lang. Guess What! Dami nagagandahan sa preparation mo sa akin. We had a reunion last Sunday and they were asking about you. Syempre proud an proud ako sa inyo! Sobra nila love MTV namin! Paulit ulit nilang pinanonood. Hello, this is Criselle. We just got a hold on our vcd and napanood na nga namin. It was really beautiful. I’d like to thank you, Bombet and all your staff for making our wedding wonderful and unforgettable and of course well organized. Thanks talaga. More power to all of you. Makakaasa kayo na i’ll tell to my friends here in Italy about your great work. Would like to say thank you to you and all of your staff for Sundays very organized party. Bombet super efficient and helpful. Gave all 10 angpao to him to give to the staffs. I’d like to extend our heartfelt gratitude to you and your staff in making this once in a lifetime moment memorable for everybody. Thank you and God Bless we appreciate all the effort done by your team to make the occasion an event to remember. Again, thank you and God bless! Planning a wedding is a major endeavor… especially if the couple lives half a world away from where the wedding is going to be. Having The Banquet to assist us with all the preparations and then orchestrating our special day allowed us to just relax and enjoy with our families and loved ones. The staff is friendly, accommodating and efficient. It’s been almost 2 months now and everyone is still talking about how fun-filled and wonderful the day was… from the picture-taking to the games which guests gladly participated in. Thanks Bing, Anton, Bombet, Emy, Sol and the rest of The Banquet team. Hi! How are u? Vince and I would really like to thank u and ur staffs for the job well done! We love everything… album, gallery photos and most specially the video, very unique not boring like I saw from others! It’s really worth what we paid for. So we hope to see u again on our silver wedding! Thanks for the advice as well. Again…BIG THANKS to everyone!!! God Bless! Cheers! Thank you very much. You made it special. We appreciate everything. All I can say is THANK YOU to Bing & Anton for the wonderful atmosphere. And without the likes of Emy, Bombet, Sol and the staffs of THE BANQUET, our wedding will not be as successful as it was. Special thanks also to the cousin of Anton (Monique), Ms Karlene & Savior of the events office, David’s Salon of galleria, the photographers, and everybody who made the wedding successful… Emy please send them my regards and unending appreciation to those god gifted creations…. thank you, thank you, thank you! I’ll let everybody know THE BANQUET as one of the top wedding coordinators of the country… I’ll let them know here how professional you are and I’ll recommend THE BANQUET to them…. A million thanks and we, Ariel, Cecille, & Maan will never ever forget people who gave support and timeless effort. God bless and more power to THE BANQUET! We hope that you guys are in good health and shape. Our mom arrived in Toronto last week and handed over to us our wedding album and videos. We just want to thank you for a job well done. We really really loved it….the videos, the photos and the over-all wedding. We can’t thank you enough for everything!! God bless! hope you all remember us, Dinah and Robert. Hi Bombet and the Banquet specialty shop crew! 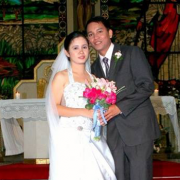 First of all, we want to say we are so pleased with the digital album and the video coverage of our wedding last 25 Jan 2005 at Manila Cathedral and Wack Wack Golf Club. Our friends have been admiring the way it’s done and asked if they can get you to do their digital albums. We thank you for a very good job made in our wedding. We made us so happy God Bless! I always thought wedding preparations were stressful and dull. I saw couples fight and argue. I thought wedding planners and coordinators were over-rated, over-priced add-ons. Good thing I listened to my wife. She brought me to The Banquet and the stereotypes were almost instantly expunged. Talking with Bing and her staff made our preparations easier and our wedding a fairy tale fit for the books. The place was scenic, the flowers were lovely, the food was great, the program was lively, and most important of all, the coordination was meticulous. The Banquet made our wedding the talk-of-the-town! Our families loved the wedding, so did our friends! Our guests enjoyed the event as much as we did! Weeks have passed and still people don’t seem to tire talking about our wedding. Couples wanted to get married again because of The Banquet. Thank you Bing, thank you Anton, thank you Banquet for making our wedding truly, a memorable one. Words are not enough to show our appreciation for what you did. When the time comes our children are going to be wed 20 to 30 years from now, we want The Banquet to handle their weddings too. We would never forget you. Indeed, you are the events specialist! Hi Ate Bing! We miss doing all the preparations with you! Don and I just remembered you this weekend.We miss you and many thanks for making our wedding day extra special. 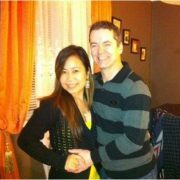 We would like to express our sincere gratitude to Bing and Anton for all the advices and help for making our wedding day ELEGANT yet financially practical. Only the expert can do it! Thanks so much and we wish both of you more success! Thanks to Bombet too who got stressed with the mass participants trying to prepare everybody for their part! Loved the mass singer and accompaniment (that’s Velvet Moods) who sang & played all my requested songs! Bing, I must say that your tandem with the guy emcee was good. You both sound great unlike other emcees na baduy ang dating. We were pleased w/ how you delivered the intro credits that Mae wrote for each participants. Good AM! I received a lot of positive feedback on the program. Haha! They said it was a spectacular debut. Thanks Bing. I owe you big time. Glad you’re better na.. di naman halata that your sick kasi high performance level ka pa din. Congrats! 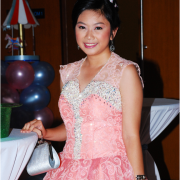 Tita, thanks for last night! Get well soon! I had fun…no, we all did! Not every couple get to have the wedding of their dreams,but we’re very proud to say that we did get ours! 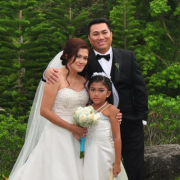 As a young couple we wanted it to be hip, stylish and modern but still has the touch of traditional Filipino weddings. From the first time we sat for planning ’til the big day itself,they assured that we had nothing to worry about. Never had we thought that it’d turn out as perfect as how we imagined it to be. Elegance and sophistication exuded in every corner of the room. And of course the staff was very professional. They gave us a very memorable and fun wedding! Our thanks most especially to Ms. Bing Pascual! You’re the best ever! Our hats off to THE BANQUET! We’ll most definitely recommend you to our friends and colleagues. Good job and keep it up! I’m on my way to the airport.. just wanna thank you for the very fun debut party you did for me. It was so memorable! Take care. It was such a blessing to have you at our side during the preparation until our wedding day. It was hard I know but I trusted you and we don’t both have any regrets. Bing, what a great job! Thanks guys for all your help. Hi Bing and Anton…happy new year!! Thanks for all the help ulit ha! Our wedding wouldn’t be as Beautiful if not for all your hard work!! GOOD AFTERNOON BING. I HAD NO TIME TO THANK YOU FOR YOUR ASSISTANCE IN MY BROTHERS WEDDING WHICH WAS ANOTHER SUCCESSFUL MEMORABLE EVENT FOR THE WHOLE FAMILY. Thank you so much from the bottom of our hearts for another great job done!! We shall always come back to you for all our family wedding events! Hi Tita Bing! Thank you po ulit for last night! Pinag uusapan pa rin naming lahat ang wedding! Dear Ate Bing, my whole family would like to thank you and the whole Banquet Specialty Shoppe, Inc. crew…super ganda daw and very organized!! And enjoy silang lahat! Just want to tell you how satisfied and happy we are with the cake, flowers and the car. Lahat nang kinuha namin ok lahat, the cake po nasarapan talaga sila, nagatatanung pa nga Saan pinagawa… floral center pc was really really beautiful! Driver Ramon was really nice too , pati bridal car nyo!! Thank you for although walang meeting maayos po lahat ang services nyo. Hi Anton! My son and bride loved the car! Thank you for giving us a good one in such a short notice. Til next time!